FREE DANCE WEEK is back for the 4th year running 3rd to 10th September 2016! Get ready for a week full of energy, fun and passion! 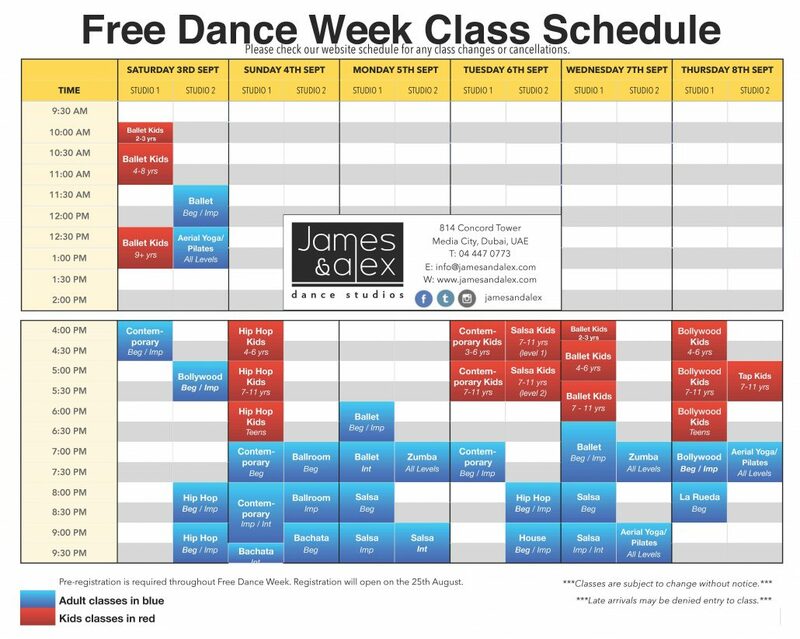 Free dance week allows current and new students to get introduced to and experience a selection of new classes, giving everyone a chance to venture out of their comfort zone, and discover new dance horizons. For an entire week, both kids and adults can take a variety of classes FREE OF CHARGE. Pre-registration is required for any NEW students and can be done from 25th August 2016. Any current or old students will not need to pre-register. This year we are not pre-booking the individual classes. Each class will be on a first come, first served basis so we suggest arriving early for the class you wish to take. Please note that with the exception of the kids’ classes, we are not accepting Free Dance Week bookings by email.